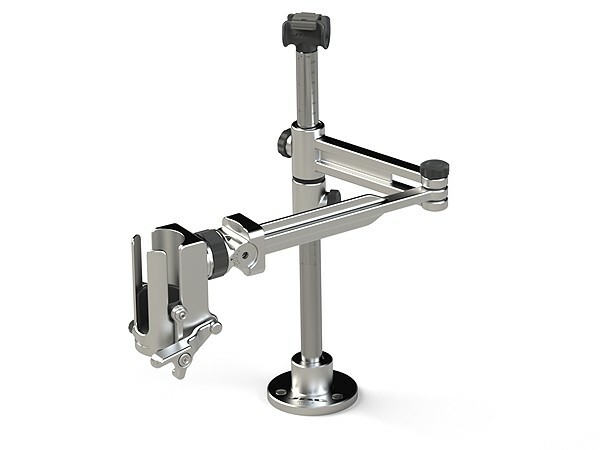 This Rework Arm comes without a base plate and it is easy installable onto the workbench. Therefore, the operator takes full advantage of the workbench surface. The Rework Arm RWS supports the Hot Air Heater allowing hands-free operation. Due to an included adapter piece the Rework Arm suits for JT- and TE-Heaters Hose Set´s.